PCWin Note: MediaHuman Audio Converter 1.8 download version indexed from servers all over the world. There are inherent dangers in the use of any software available for download on the Internet. PCWin free download center makes no representations as to the content of MediaHuman Audio Converter version/build 1.8 is accurate, complete, virus free or do not infringe the rights of any third party. PCWin has not developed this software MediaHuman Audio Converter and in no way responsible for the use of the software and any damage done to your systems. You are solely responsible for adequate protection and backup of the data and equipment used in connection with using software MediaHuman Audio Converter. OGG to MP3 - OGG to MP3 is an easy, efficient, fast yet free OGG to MP3 converter. It is capable of converting OGG to MP3 easily and quickly. 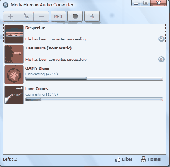 Free Mp3 M4a Wma Converter - Free Software to convert your audio files. Convert MP3, WMA, AAC, M4A, MP4, MOV, FLV, AVI, MKV, OGG, FLAC, WMV, ASF, AC3, APE, APL, ALAC, MPC to MP3, WMA, OGG, FLAC, WAV, AAC. Kastor Free Audio Converter can also rip your CD Audio. Free OGG to MP3 Converter - This software can help you to convert OGG Vorbis files to MP3 audio, or decode MP3 to OGG format. This audio converter provides you the easier way to convert OGG to MP3 with ultra speed and outstanding quality. OGG to MP3 Converter - OGG to MP3 Converter is an easy, efficient, fast yet free OGG to MP3 converter. It is capable of converting OGG to MP3 easily and quickly. Leap Free OGG to MP3 AMR M4A AC3 Audio - Leap Free OGG to MP3 AMR M4A AC3 Audio Converter lets you free convert your OGG to all audio format files as MP3, AAC, AC3, AMR, M4A, OGG,WAV format quickly and easily. You can convert with high quality. Free Convert OGG to MP3 AMR M4A AAC - Free Convert OGG to MP3 AMR M4A AAC Converter is a simple, stable and fast multimedia converter. Fast conversion speed and Excellent quality are its distinct features.It can convert ogg to mp3, aac, ac3, m4a, wav, amr with ease. Magic M4A To MP3 Converter - Free M4A to MP3 Converter converts the following audio file formats: wav to mp3, m4a to mp3, aac to mp3 and ogg to mp3, plus others. You can select audio files and convert m4a to mp3, for instance. MP3 Ringtone Extractor - Create a customized ringtone from music in MP3, MP4, WMA, WAV and OGG file format, simply, without limitations and need to pay for every ringtone. Whole process requires only a few clicks from music load to your ready to use ringtone. ViVE Android Video Converter for MAC - ViVE Video to Android Converter for Mac supports convert almost all videos to Android files on Mac OS. Besides all popular normal video, it also supports convert HD video to Android format. ViVE AVI to iPhone Converter for MAC - ViVE AVI to iPhone Converter for Mac is a powerful yet easy-to-use tool to convert AVI files to iPhone format on Mac OS. You can play the created files on iPhone, Apple TV, iPad and all types of iPod (iPod nano, iPod touch, iPod classic).